A well-balanced, harmonious and subtle sparkling wine. 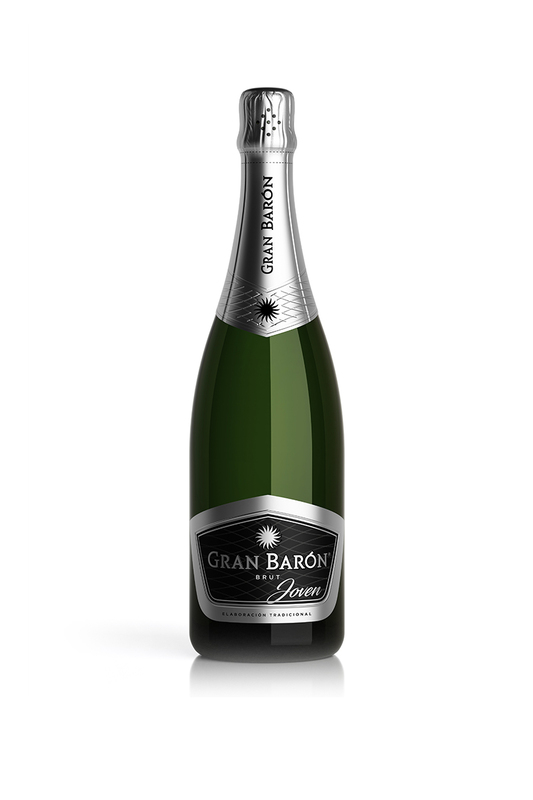 It is the smoothest of the Gran Barón family and goes beautifully with dessert, ice cream and fruit. Pale yellow with greenish reflections. Fresh aromas of white fruit, apple and pear, with hints of pastry that denote its second fermentation in the bottle. Soft and pleasing attack, with satisfying bubbles and white fruit aromas. Recommended for drinking on its own at any time, or with meat, fish, pizza, cheese, tapas or paella. Serve between 5 and 6°C.